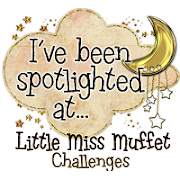 This adorable digital image Horsin' Around by Prairie Fairy Designs is my spotlight for the challenge. I layered the images one over the other in my photoshop elements program to give a dancing affect. I felt like using pastels so didn't follow any color challenges as is my norm. I don't know do you think these dancing horses look like Vaudeville, Can Can dancers, Salsa dancers or just a bunch of clowns? Maybe I should have added a hook to pull them off the stage. 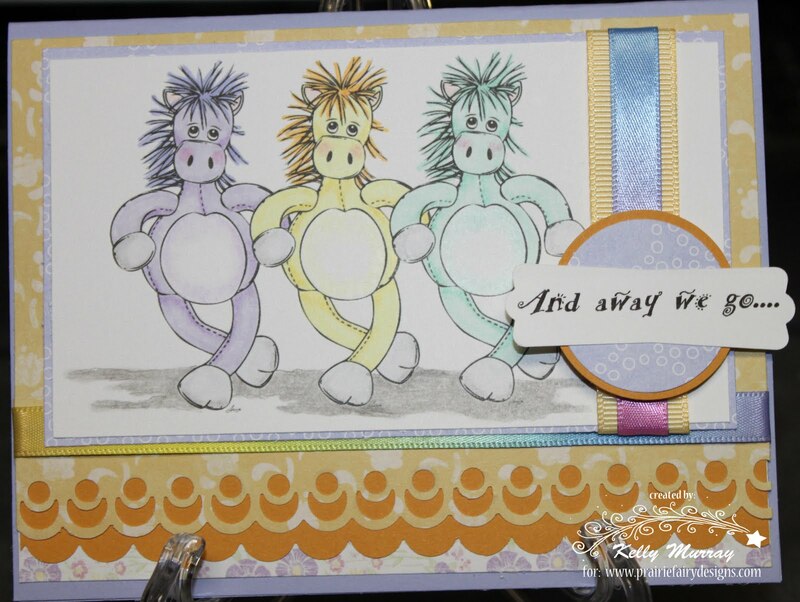 This is my DT card for Fairy Fun Fridays challenge 26 - Anything Goes. I used the sketch 118 from Taylored Expressions as it made me think of the scalloped fancy curtains on a stage. Too funny, your little story about these horses. Cute idea Kelly! Your dancing horses are so adorable...wish a could work with photoshop....love it! 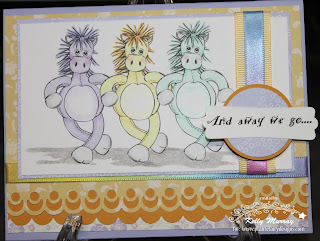 Hi Kelly, I just love these dancin' horses, fab layout and colour. 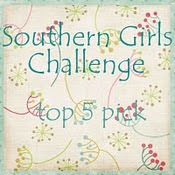 Here is the direct link to where I buy my Nellie's. Don't think you can get them over the pond yet. Not sure what the postage would be though. Hehe too cute. Love it! Very original! 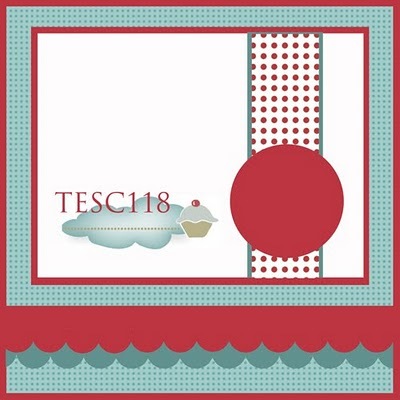 Yes the scallop does resemble stage curtains!! Good idea! I think this is absolutely brilliant, Kelly!! I am totally intrigued by how you wove the digital images together. It is cute as can be and brought a smile to my face as soon as I saw it. Love the sentiment too! You rocked it!